We're excited to be a Platinum Sponsor for GPUG Summit this year in Nashville, TN, on October 10-13! What is GPUG Summit? Over the past 11 years, GPUG Summit has evolved into the ultimate can’t-miss conference for Microsoft Dynamics GP users. As the largest annual gathering of Dynamics GP users, Summit offers education and support for all attendees, whether they are accountants, administrators, controllers, or human resources managers. This year at Summit, we hope you’ll stop by booth 725 to chat with the DocuPhase team about how Accounting Automation can help you simplify your AP processes. 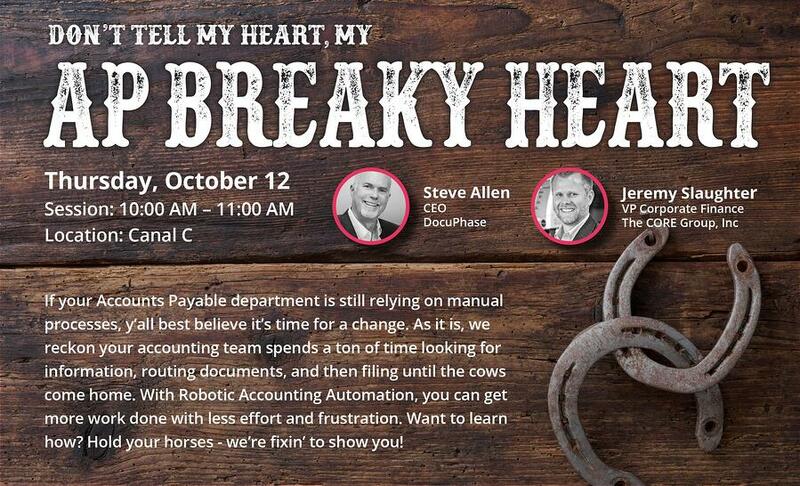 You’re also welcome to attend our session, AP Breaky Heart, on Thursday, October 12, at 10AM in Canal C. In this solution showcase, Steve Allen and Jeremy Slaughter will demonstrate how companies are using Robotic Accounting Automation to get more work done with less effort and frustration. We'll see you in Nashville! Robotic Accounting Automation is changing the way businesses operate in the 21st century. 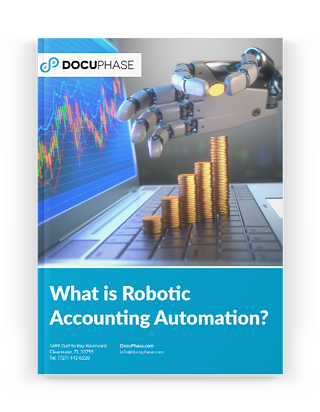 Download your free copy of this white paper now to start learning about how Robotic Accounting Automation can help you get more out of your ERP.